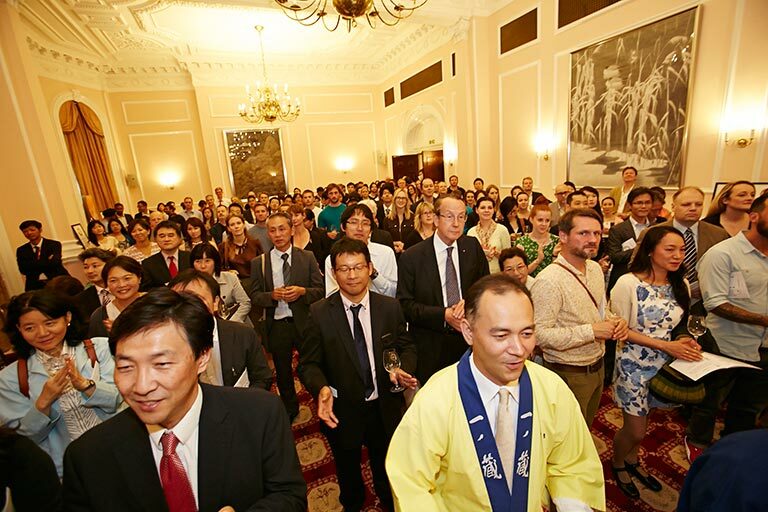 Following a grand Awards Ceremony the night before, the doors of the Japanese Embassy were opened on the 17th July to host the much anticipated tasting of the 2015 IWC Sake Competition’s Award winning sake. 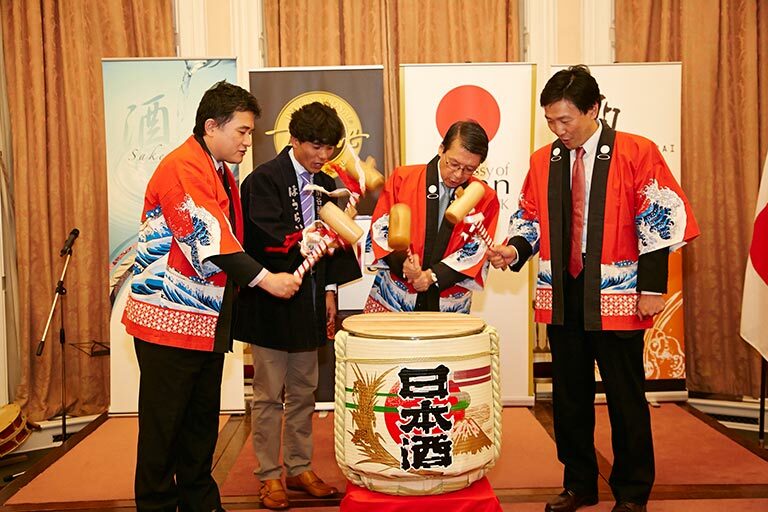 This year, an unprecedented 876 sakes were entered, representing the highest participation rate since the competition’s conception in 2006. 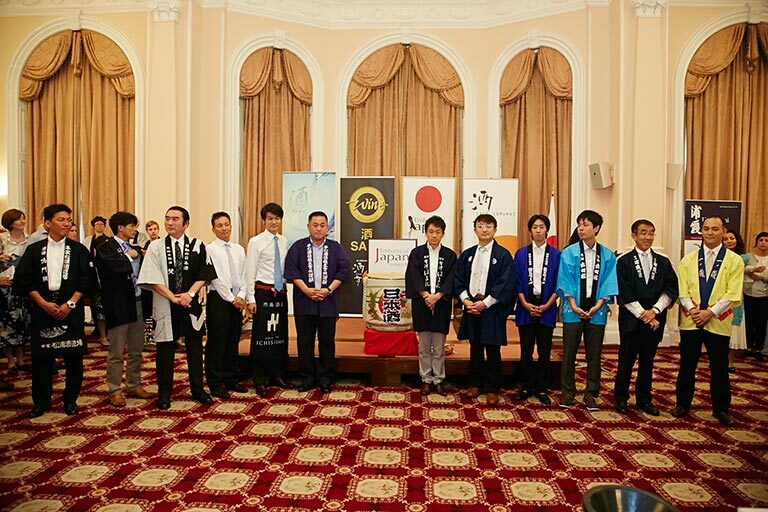 Twelve sake breweries participated, consisting of the Champion and Finalists of 2015’s hotly contested IWC Sake Challenge. 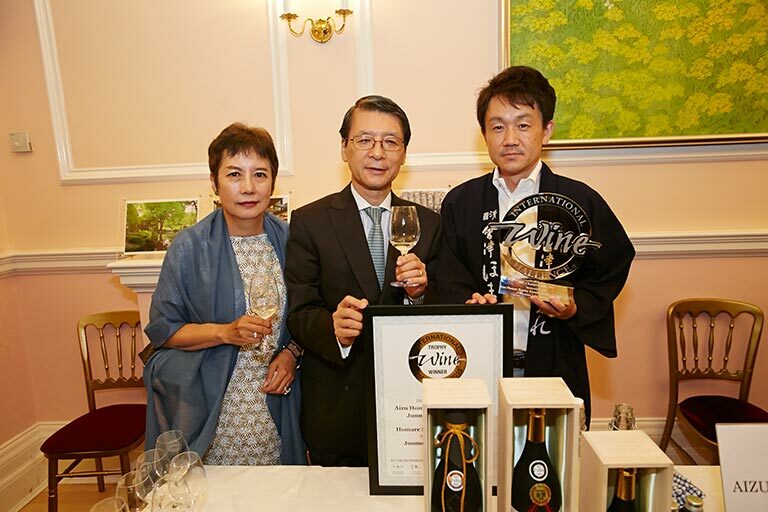 Each brewery offered up two of their trophy and medal winning sakes for public appreciation. 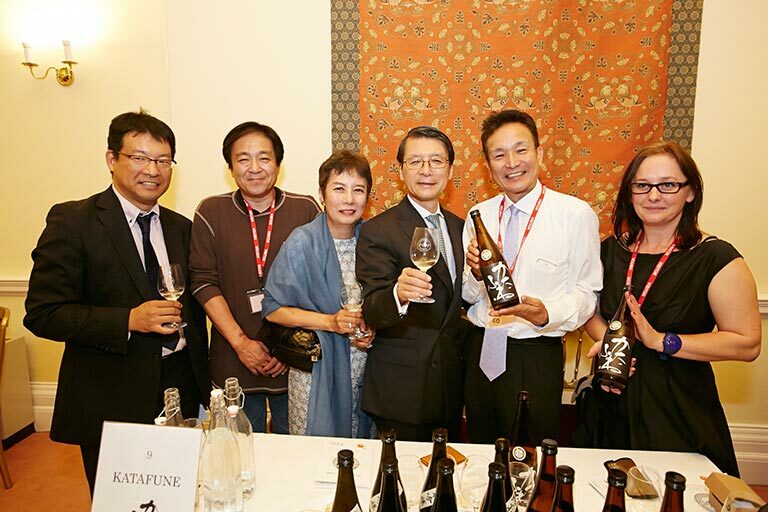 The brands showcased were; Ichinokura (Miyagi), Urakasumi (Miyagi), Dewazakura (Yamagata), Ginrei Gassan (Yamagata), Kurouzaemon/Uragasanryu (Yamagata), Aizu Homare (Fukushima), Yumegokoro (Fukushima), Hidematsu (Niigata), Katafune (Niigata), Born (Fukui), Houraisen (Sekiya), Narutotai (Tokushima). 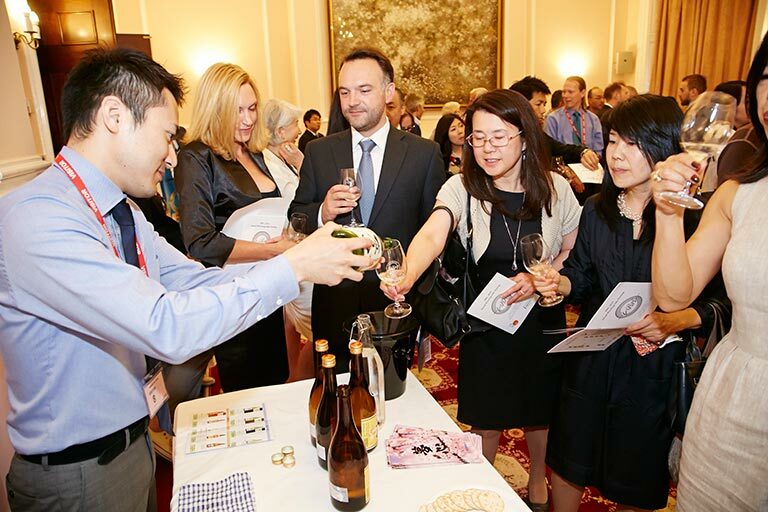 In order to encourage the winning sake makers to expand their business in the UK, the trade tasting was held in the afternoon separately from the general public. 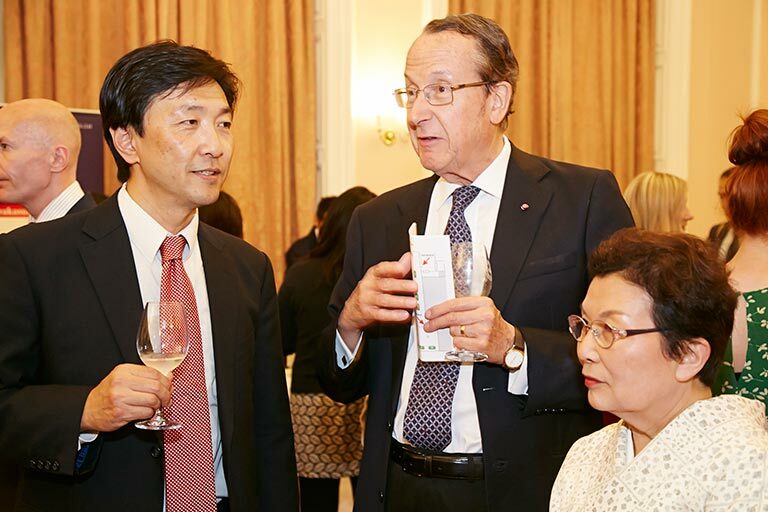 Unprecedented numbers of the on-trade, off-trade and journalists participated successfully and engaged in more business talks. 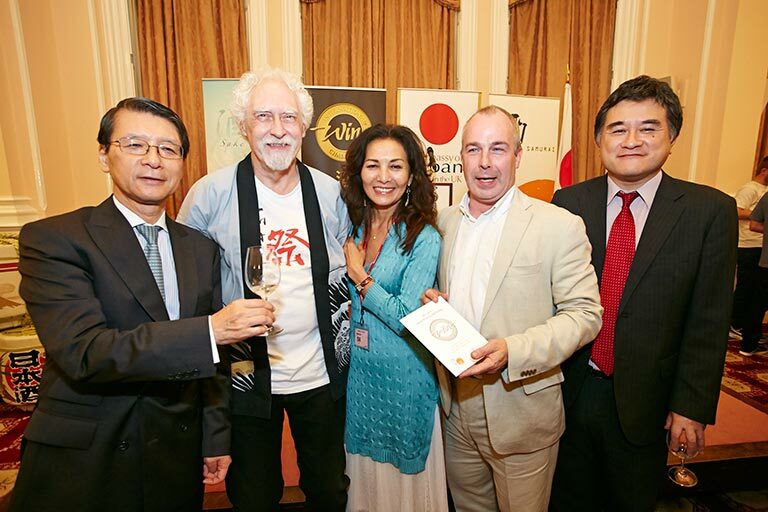 With the recognition of the IWC awards, sake makers were presenting their sake with a confident in search of the customers in the UK. 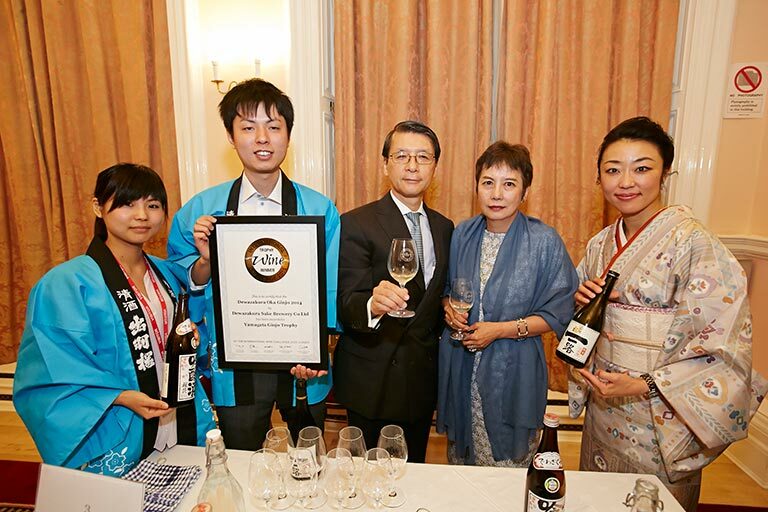 The tasting for the general public was held in the evening and the chambers were filled with sake lovers in anticipation of a joyous night of celebration and recognition of the sake brewers’ outstanding work. 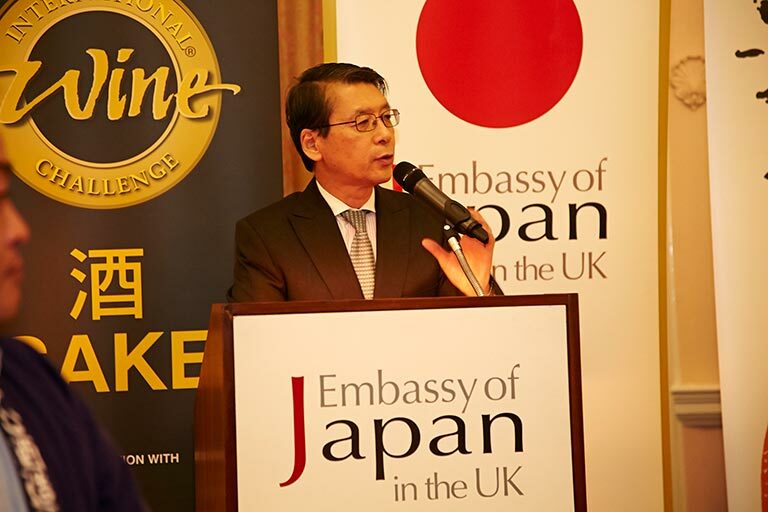 Before the tasting began, His Excellency Mr Keiichi Hayashi reflected upon 9 years of the Annual IWC Sake Tasting. 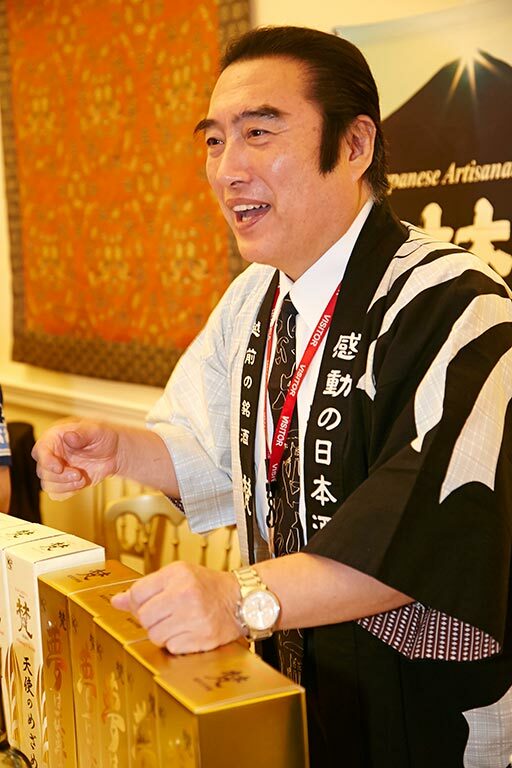 He gave recognition to the outstanding performance of Japan’s Tohoku sake makers, who despite the devastating earthquake of 2011 made an astonishing comeback to win 17 of the 43 IWC gold medals this year. 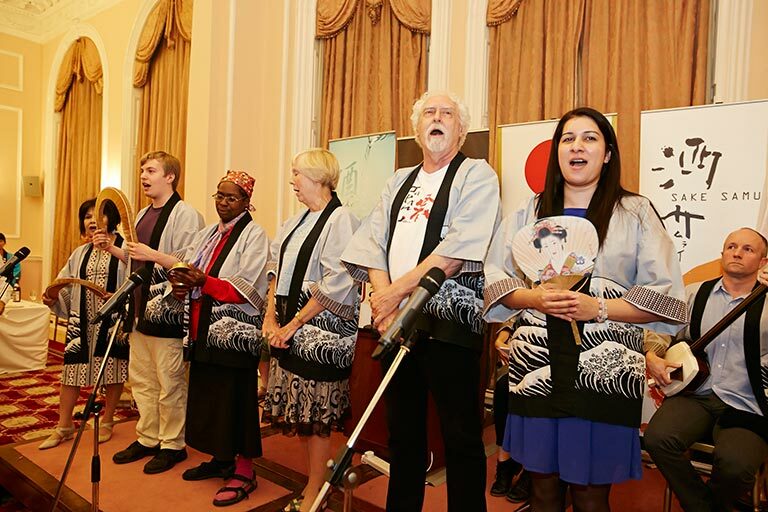 We would like to express our special thanks to the sake experts who supported the sake makers, enabling them to communicate with guests, and also for SOAS Minyo group led by Dr. David Hughes for an authentic performance of traditional sake-brewing songs from Japan, and most of all, to the team of embassy for their meticulous arrangements.